Photo tour in Altai Mountains Range and Golden Eagles. 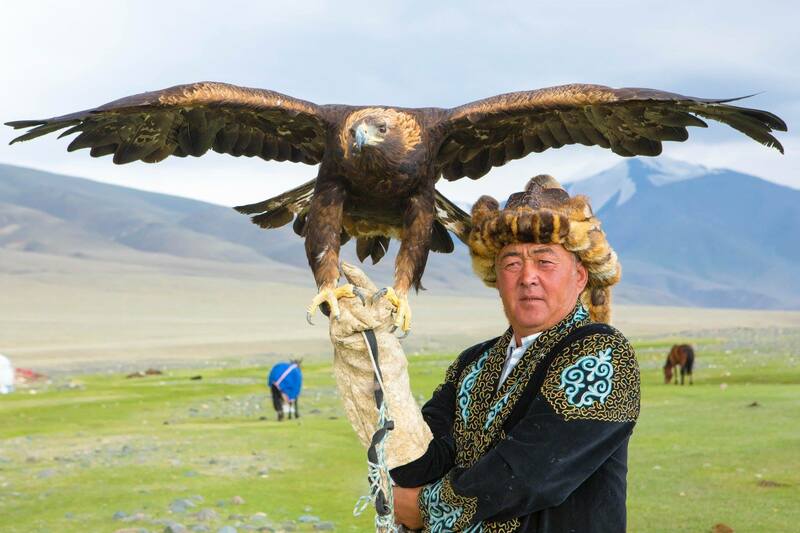 This tour gives you a great opportunity to photograph Kazakh Nomadic Eagle Hunter in Western Mongolia and natural beauties of Altai Mountains Range. Visit local families and photograph their daily nomadic lifestyle. Explore vast steppe, highest mountains of Mongolia, one of the biggest lakes and longest glaciers of Mongolia. Private photo shooting with a spectacular Golden Eagle and Eagle Hunters. Finally, you will participate for the Eagle Festival which takes place in the heart of Altai. 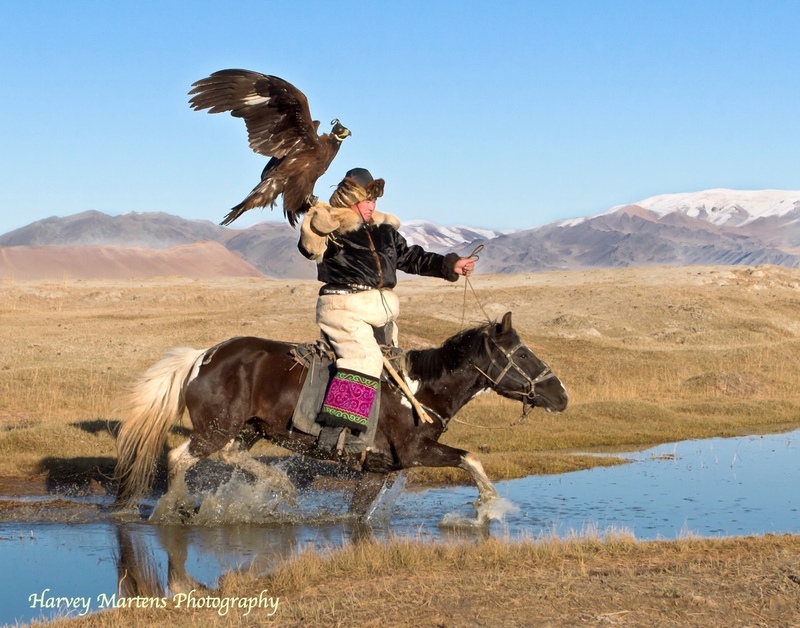 Experience the cultural activities such as Bushkashi, Kiz Kuar, Tenge Ilu and tournament between Eagle Hunters. Upon your arrival to Ulgii airport, our expedition team you welcome you. Start driving to Sagsai village to Eagle Hunter's home. Before the sunrise go to shooting area and start shooting photos. If you are looking for group of eagle hunters, we can suggest no less than 3 and more than 5 hunters for groups photos. You can photograph the hunters individually and with a group. Photograph while eagle is catching the fake fox and more. After breakfast, start horse riding towards Base Camp. Your travel gears will be loaded on the camels and you can have only your backpack or your camera with you. Base camp is situated right next to the Potanine glacier. Way to Base Camp is very scenic and you will have plenty of time to get nice photos. Early in the morning horse ride to Malchin peak and explore the area for good photographic view. It depends on you to climb the Malchin Peak or stay around a mountain and take photos of glaciers, peaks and more natural beauties. Ride back to Ranger Station and start driving to Bayan Ulgii. Early in the morning start driving towards Khoton, Khurgan Lakes. This area is very scenic with huge lakes and snow capped mountains. On the southwest, there are huge snow capped mountains and on the north side there is a vast steppe. By the lake side there are Balbal stones and petroglyohs. Early in the morning hike to waterfall. Experience the scenic view of waterfall and hike to the lake on the mountains. Breathtaking place for photographing the nature.